RE•WORK | Blog - Should your business be using deep learning? Should your business be using deep learning? Ever popular in the media the terms artificial intelligence, deep learning and machine intelligence are constantly popping up. The first thing we tend to think of are the big names in tech like Amazon, Facebook, and Google as having a clear use for these tools. Whilst this is true, there are also huge advantages for their applications in businesses and everyday enterprises. DL is constantly being refined to provide solutions and increase business efficiency in a number of areas including predictive maintenance, risk analysis, demand and supply optimization, sentiment analysis, and market targeting. Does your company use deep learning? Could you be missing out? At the Deep Learning Summit in San Francisco this January we heard from Andrez Rodriguez, senior technical lead for DL at Intel, who spoke to us about how the limitations of applying these technologies across various market sectors are decreasing as applications are becoming tremendously successful in unlocking economic value for businesses. Due to high demand, RE•WORK will be running the Deep Learning for Enterprise Summit in San Francisco on January 25 & 26 next year alongside the Deep Learning Summit and AI Assistant Summit where we will hear from industry leaders who will explore the opportunities and challenges of implementing deep learning in your business. Early Bird passes are currently available, register now. In his talk, Andrez explained how AI can ‘transform the world for the better’ making it safer (with autonomous vehicles), healthier (assisting with medical breakthroughs), and happier (through applications in wellbeing, fitness and lifestyle), as well as through optimizing business efficiency. On the whole, businesses collect high volumes of data both internally and externally that can be used to train your machine. Andrez spoke about different strategies that can be used to succeed in deep learning which are transferable across finance, healthcare, retail, and a multitude of sectors. 'Often, companies are scared of the challenge of getting started in DL; one of the reasons being that people believe that they need huge amounts of labelled data, however there is an openness and a lot of researchers who publish their models, data sets, and pretrained models.' As a new company in this area, whether you’re a small startup or a large business, you can take one of these models and apply it to your business. In parallel with this you can train the system with your own data to make it more successful. The most important factors in employing DL in a business, Andrez explains, is speed and scale which can assist companies in getting the technology functioning to it’s full potential straight away. Should you be using deep learning in your business? Watch Andrez’s full presentation on our exclusive video platform. Interested in hearing more about using deep learning in enterprise? 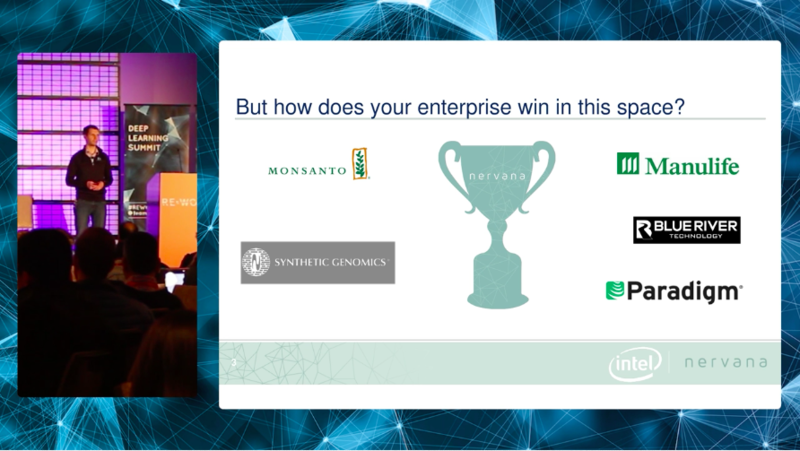 Register for Early Bird passes to the Deep Learning For Enterprise Summit in San Francisco, January 25 & 26 and hear from CEOs, researchers, startups, and industry leads, or join us in Montreal this October 10 & 11 for track 2 of the Deep Learning Summit where we will explore the problems that deep learning can help solve in your business.